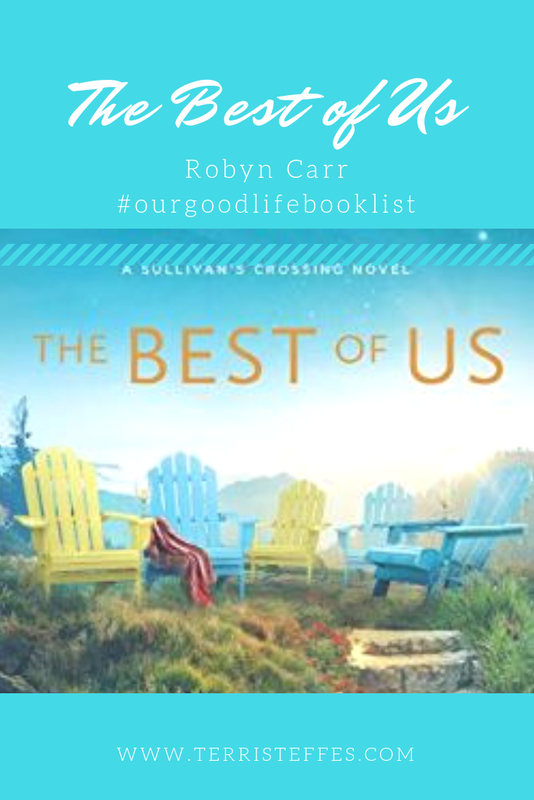 Fourth in a series, The Best of Us by Robyn Carr is a delightful contemporary romance novel set in beautiful Colorado. Although I haven't read the others, I have put all of them on my list to read. What I loved about the book: Robyn Carr develops loveable characters who, although flawed like all humans, have common sense, decency and the ability to see the best in people. I love Dr. Leigh, even though I thought she was much older than what the character's true age is. Helen, her aunt, seems to be a feisty woman who has raised her niece, retired from teaching and embarked a career as a successful author. Sully is an older man who runs a campground for hikers that populate the area through the spring and summer. He is just like my grandfather, who spoke his mind but in a caring and considerate manner. I'd love to revisit these characters in the future! If you are interested in reading this book, consider purchasing it from me! I will make a small commission from Amazon, but your price for the book remains the same.